Select your pergola canopy fabric and color. Our canopy selections are sized to fit Pergola Depot pergolas. Choose the size canopy that corresponds with the size pergola you’re purchasing. 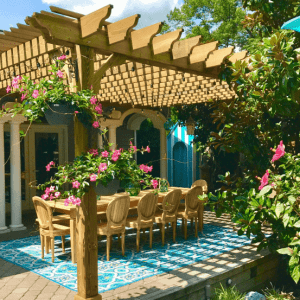 The canopy will measure approximately 4 feet less than the pergola size for each dimension. 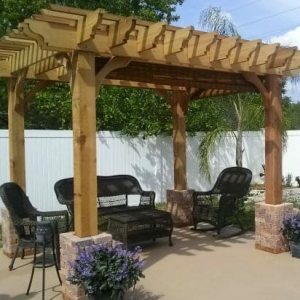 Ex: If you’re purchasing a 12×14 attached pergola, select Canopy for 12×14 Attached Pergola. 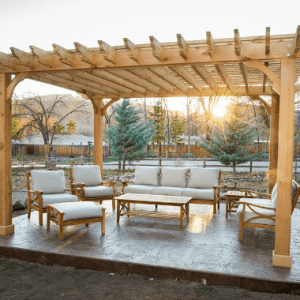 For a 12×14 pergola you would receive an 8×10 canopy (inside post to post dimensions). You can add an Infinity retractable pergola canopy to any of our Attached pergola kits from 12×12 up to 20×20. Click here for an Infinity retractable pergola canopy for our Freestanding pergola kits. 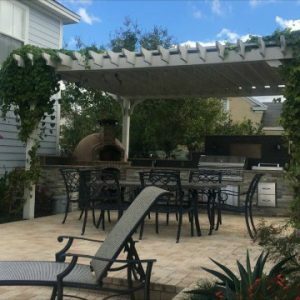 If you have or are purchasing a pergola from us and would like to purchase a canopy for your pergola, you can order an Infinity Canopy on our website and we will facilitate the order processing. 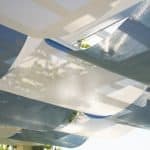 Infinity Canopy will configure and ship your canopy directly to you. The canopy sizes listed on our website are for our standard pergola kits. 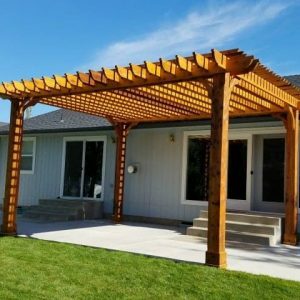 If you did not purchase your pergola kit from us, we recommend that you order your canopy directly from Infinity Canopy to ensure the proper fit. 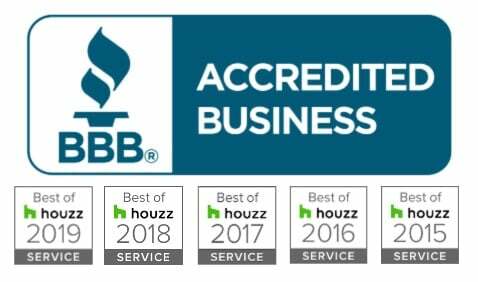 If the canopy you’re shopping for is to be attached to a Pergola Depot pergola kit, and you’d like help choosing the size, email or call us with your questions. If you have questions or require service after you purchase a canopy, please visit Infinity Canopy. Infinity canopy is available in 5 foot width sections, so the total width of the canopy will always be a multiple of 5 feet. The sections are placed side by side with a gap in between them to cover the pergola. 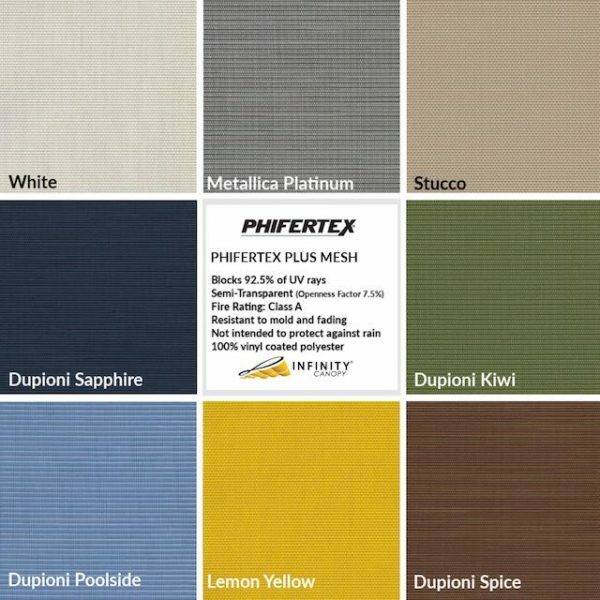 Simply select the fabric and the color, then choose the size pergola you are purchasing. The base price is shown at the top, and then when you select your size, the additional cost is shown for larger sizes. 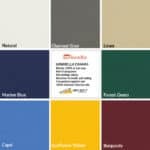 For a multicolor canopy make sure you select two colors. Canopy kits are shipped direct from Infinity Canopy and will be a separate shipment from the pergola kit itself. Infinity Canopy is a slide on wire canopy system that is ready to install out of the box. Because of its unique modular design can fit any space and be modified infinitely to meet your design and shade needs. Add or remove panels to increase or decrease the length and width of your canopy. 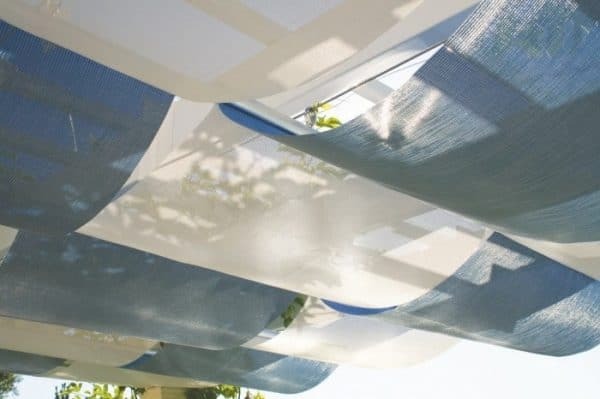 Change your canopy’s color and design within minutes. Quickly replace any damaged section with replacement parts. Remove and reinstall your canopy for cleaning, repairs or winterization in minutes. Watch the videos below for more info about installation and an introduction to the Infinity Canopy System.